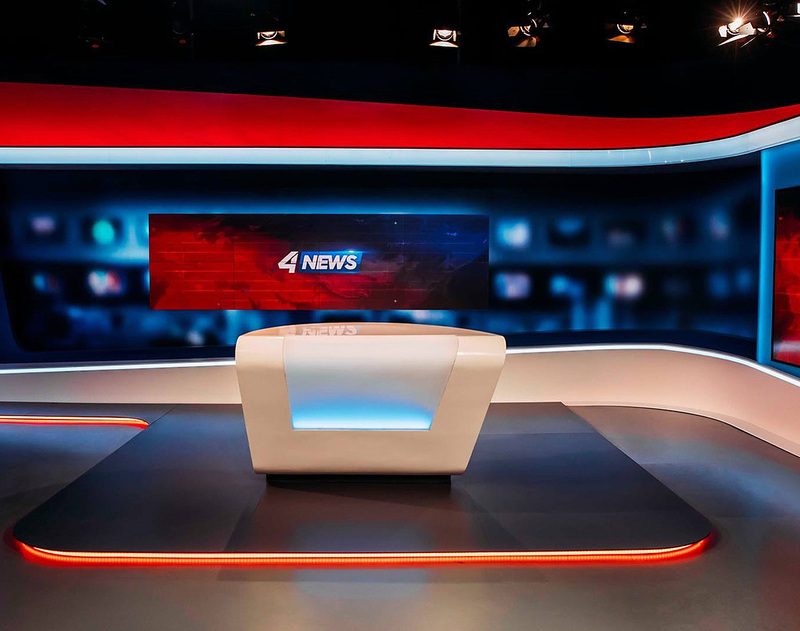 The two shows share one studio, with the desk rotating to give each program a unique look, along with lighting and graphic changes. Puls 4 is an Austrian broadcast network owned by ProSiebenSat.1 Media SE. 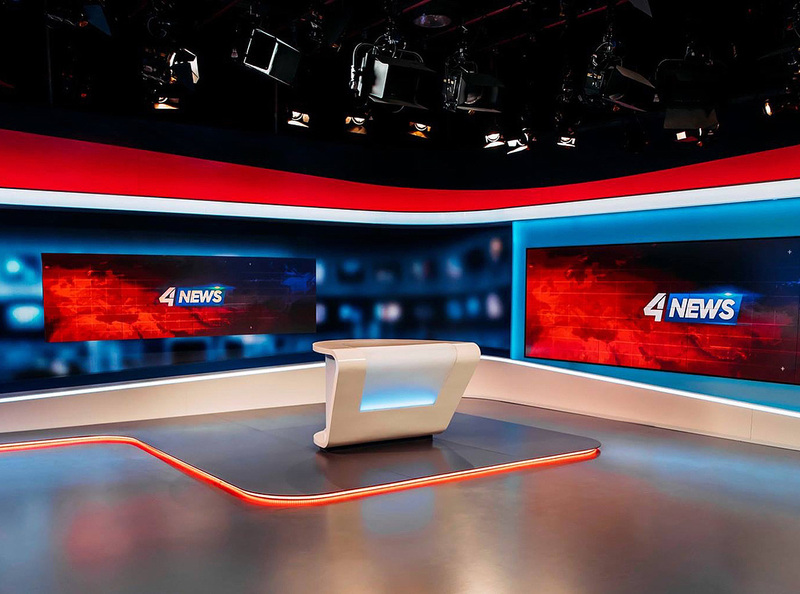 The network’s previous set debuted in 2014, also from BueroCremers.